Indoor & Outdoor Lighting. Top quality installation and design that meets your needs and requirements. Our small friendly team offers high quality work for competitive prices which take electrical regulations seriously. 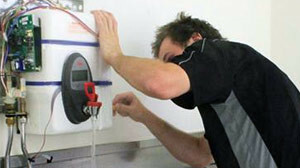 We cater to hot water cylinder repairs, oven repairs and general household wiring repairs that may occur during a electrical fault. We’ll work with you to tailor a home security system to suit your needs and budget. Call now for your no obligation FREE quote! Technology is always changing, talk to us about modern lighting options trending in existing and new homes. Woodley's Electrical brings a team of electrical contractors working on mainly domestic and light commercial installations and maintenance - we have the experience needed to complete your task from start to finish. Our small friendly team offers high quality work for competitive prices which take electrical regulations seriously. We pride ourselves on completing work to all necessary electrical standards. 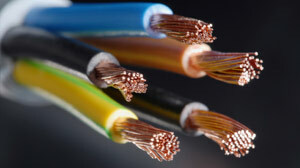 Woodley's electrical is an electrical business based in the Horowhenua/Kapiti region. No extra travel fee apply if located further afield. Hayden Installed some feature lights in our deck area. Communication was excellent! The price was very Competitive and the quality of workmanship was second to none. We are very happy with the service and our new feature lights look great! Hayden responded very promptly to my request, arrived on time to the Beach & diagnosed & repaired the hot water cylinder instantly as he had the parts in his van. I would recommend using Woodley's Electrical for their prompt & friendly service. Woodley’s Electrical service the greater Horowhenua/Kapiti area and are available for residential and commercial electrical work, from hot water cylinders to outdoor lighting, servicing and maintenance. © 2014 Woodley's Electrical. All rights reserved.